An 11-year-old girl involved in a traffic collision at Westmount Road, Eltham on Tuesday, 5 February has died from her injuries. Police were called by London Ambulance Service at 16:42hrs on Tuesday, 5 February to Westmount Road, junction with Elibank Road in Eltham, following reports of a road traffic collision. Officers attended and found 11-year-old Emmie Huang who had been in collision with a car. Emmie was taken by London's Air Ambulance to a central London hospital where despite the efforts of medical professionals, she sadly died from her injuries on Friday, 8 February. The driver of the car stopped at the scene. He has not been arrested and continues to assist police with enquiries. Emmie’s family has asked that their privacy be respected at this difficult time. 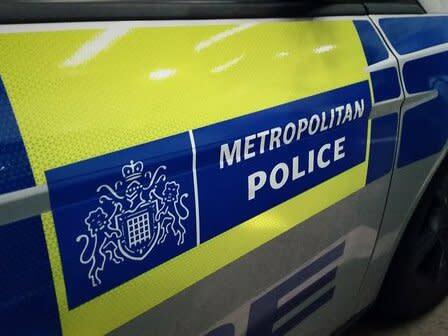 Anyone with information, dashcam or mobile phone footage is asked to call the Met's Serious Collision Investigation Unit on 020 8285 1574 referencing CAD 5097/5 Feb.
Police are investigating a road traffic collision in Eltham which has left an 11-year-old girl in a critical condition.